Book now the best shore excursions in Tenerife. High quality and safety at the lowest prices. If your are looking for the best Shore Excursion Tenerife, book now the best guided tours at lowest price with Ancora Tours. Since 2003 we offer you official guides in english, transportation and travel insurance, all included. The highest quality at the lowest rates. Discover the real and wild nature of one of the most beautiful islands in the Ocean. Animals, blue sea and a volcano that will surprise you with its incredible sight. Book now online and prepare yourself for a fantastic and unforgettable journey. What’s eating: Papas arrugas, local potatoes served with different dips. Code Dress: Please note the dress code recommended to enter any church. No shorts, bare shoulders or miniskirts. This applies to both men and women. Comfortable walking shoes and sunscreen are recommended. 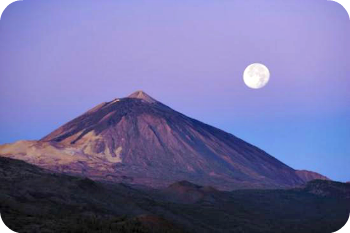 Our Tenerife shore excursion begins at the magnificent location of Teide National Park. With an average altitude of over 2,000 metres, the park is a spectacular example of volcanic landscapes and ecosystems. The park is a UNESCO World Heritage Site and includes the highest peak in Spain, Mount Teide. The next part of our Tenerife shore excursion is the village of La Orotava and its beautiful historic centre. We’ll see the Church of the Conception and its characteristic dome, whose design is inspired by the dome of the Florence Cathedral. We’ll pass through the main street Carrera Escultor Estevez lined with colourful houses and also see San Agustin Church and Constitution Square. Finally, our Tenerife shore excursion will return to San Cruz port by bus.